A Memphis and Charleston Railroad train crosses the Tennessee River at Florence, Lauderdale County, ca. 1890. 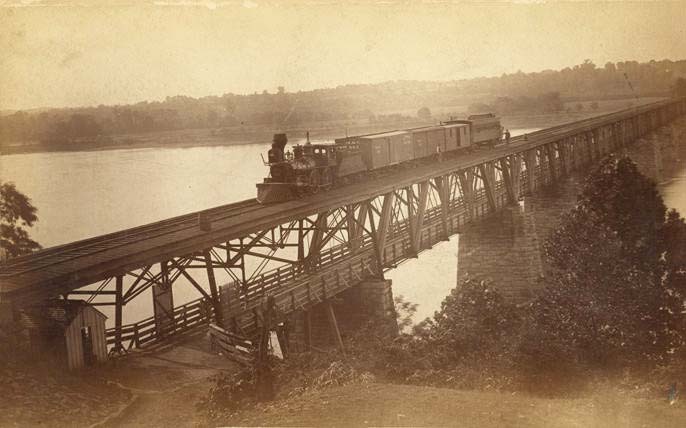 The railroad was the first rail link between the Mississippi River and the Atlantic Ocean and was a key transportation route for the Confederacy during the Civil War.